ANIMAL NATION DOESN'T KNOW ANYTHING. 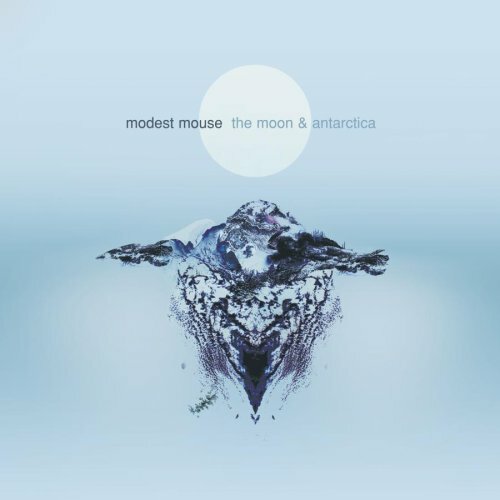 : Albums of Influence - Modest Mouse's "The Moon and Antarctica"
Albums of Influence - Modest Mouse's "The Moon and Antarctica"
Modest Mouse's "The Moon and Antarctica"
"You can't have a favourite song on Dark Side of the Moon. You've got to accept it as a whole. You've got to listen to it in its entirety as a 'listening experience'." I've heard more than one person, stoned out of their minds, say this about Pink Floyd's "Dark Side of the Moon". That could just as easily be said about the Modest Mouse sonic masterpiece that is "The Moon and Antarctica". Although all of the songs do work on their own, the album works so well as a whole that it feels like you're doing it injustice to only listen to one or two songs at a time. For a band that (at the time) only had 3 people in it, there are an amazing amount of layers on this record. This was one of the first records I ever heard that made me think of combining multiple vocal takes onto one track. Or double-tracking guitars, while putting warm and heavy effects on one channel, while leaving the other raw and cold. This was the first record I ever heard that made me start experimenting sonically. It's hard to not start thinking about how our entire universe as we know it could be contained within a single cell of a single creature living in an infinitely larger universe. Or even that the blood in our bodies could just as easily be a whole other type of universe in itself millions of other creatures, infinitely smaller than yourself. All this from a couple indie-punk-rockers from the mid-NorthWest. Download the entire album for free here. If you dig it, buy their 'Moon' follow up album "Good News For People That Love Bad News". As well as a t-shirt. And a hat. Other Modest Mouse album honourable mentions include, but are not limited to: Good News for People Who Like Bad News, The Lonesome Crowded West, and Building Nothing out of Something.